Crisp, personally appealing and at the same time inexpensive – that’s how today’s marketing e-mails are supposed to be. Today, newsletters and mailings are part of the standard repertoire of marketing, which has been using supporting tools for a long time. 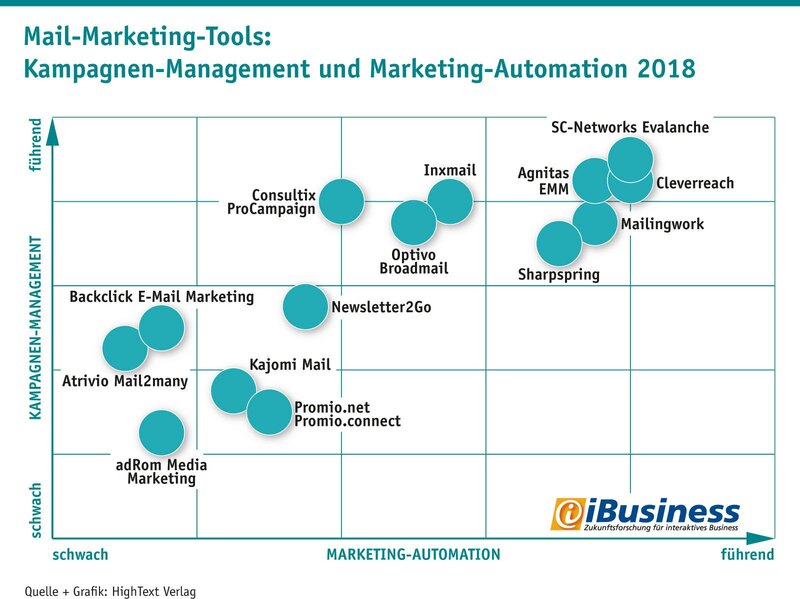 iBusiness presents a market overview of the most important providers, which focus on e-mail marketing and examined the specific strengths of the individual tools, their position in the competitive environment and their intended use. According to the study, our Evalanche solution is easily integrated and is a leader in campaign management and marketing automation. 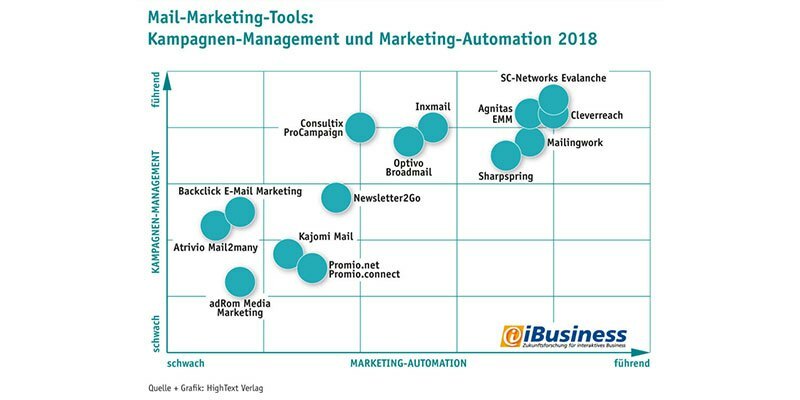 In a two-part series, iBusiness presented and evaluated a total of 14 marketing tools that focus on email marketing (see iBusiness 14 Mail Marketing Tools (1): The most important tools at a glance and 14 mail marketing tools (2) – from Kajomi to Sharpspring. We have released our e-mail marketing solution Evalanche 2003 for the first time and are therefore among the pioneers in the market. 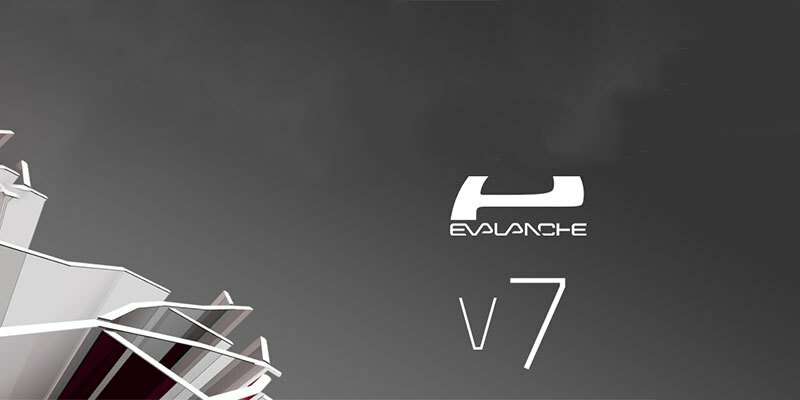 We have continuously expanded our Saas software, which is also confirmed in the study: “The latest version (V7) https://www.sc-networks.com/product/evalanche-v7/ was introduced in December 2017 and includes improvements in the areas of Campaign Designer, Automation and Data Protection (keyword EU- GDPR). “In the Campaign Designer, customer journeys can be created and processed on the basis of rules. Linked forms allow targeted lead nurturing and dynamic qualification. The system is supplemented by content profiling”. The basic orientation of the 14 email marketing tools can be divided into three categories: Integrators, service providers and universalists. Five providers – including Evalanche once again in the top position as sole supplier – are highly integrated into existing processes. Both the depth and breadth of the integration were taken into account. “Evalanche, Agnitas and Cleverreach offer a direct integration of third-party CRM, have an extensive API and their own development department for individual integrators, as well as a standard API for data comparison”, iBusiness describes the winners among the process specialists. Dimension Service not only tested and evaluated the professional service around the software, but also focused on (full-service) shipping. Since SC-Networks provides companies and agencies with Evalanche as an instrument and pursues the objective of independent use of the software with the Professional Service, a lower rating was achieved for the Dimension service. The leading providers in the service sector are characterised by less complex technical processes; the full-service assumption of the entire mailing business predominates. A full-service provider is particularly suitable for standard scenarios, since there is hardly any manual effort and it is cheaper to deliver the service than to build up your own know-how. As the scenarios become more complex, this relationship changes for the most part, and smarter and more flexible solutions come to the fore.